Chinese e-commerce giant Alibaba has signed up 75 additional brand owners to its intellectual property rights (IPR) partnership formed last year with 30 members. The list includes some of the world’s largest companies. In food and beverage, Nestle, Danone, Mars, Diageo and Pernod Ricard stand out, as do Pfizer, Johnson & Johnson, Procter & Gamble, Colgate-Palmolive and GlaxoSmithKline in pharma and personal care, Apple, Bose and Sony in electronics and carmakers Ford, Toyota, Honda and Volkswagen. The Alibaba Anti-Counterfeiting Alliance (AACA), as the scheme is known, is a central part of the company’s efforts to get its house in order when it comes to taking down listings for counterfeit products on its retail websites, and comes shortly after it’s Taobao platform was included in the US Trade Representatives Notorious Markets list for the second year in a row. Taobao was not named on the Notorious Markets list between 2012 and 2015 but was added in 2016 after calls from 18 trade bodies emphasising what they claimed was an “enormous number of counterfeits” on Alibaba sites. 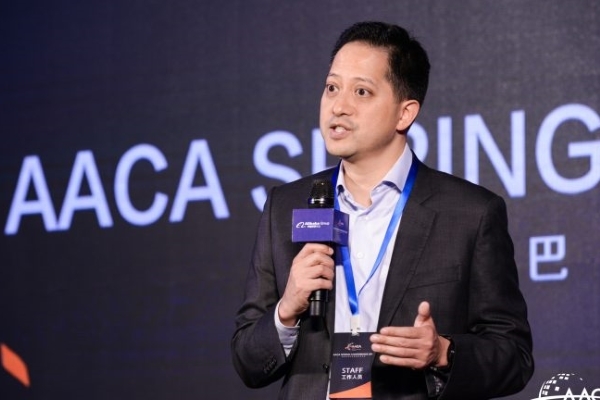 “We take a partnership approach to protecting IP”, said Alibaba senior vice president Michael Yao (pictured), who heads brand-protection cooperation at the company, at AACA’s Spring meeting in Hangzhou. He added that the pace of recruitment of new members is an indicator that its approach to counterfeiting is on course. AACA members collaborate in six key areas including proactive online monitoring and protection, a product test-buy program, offline investigations and enforcement actions, industry-law enforcement workshops, litigation tactics, and public awareness campaigns, says Alibaba. “Brands share IPR and other related insights about their products – enabling us to leverage our proprietary, cutting edge technology and algorithms to root out and deter bad actors,” added Yao.